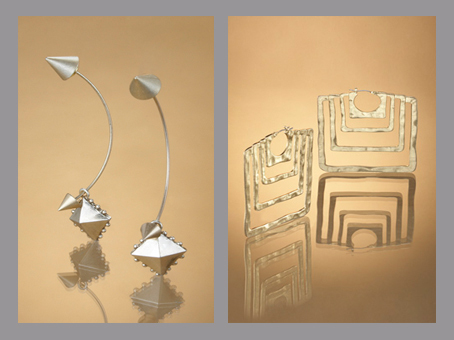 I have always loved jewellery and making them has always been a passion for me, besides designing clothes and illustrating that is. Although, I haven’t done any professional jewellery designing as yet,Â it is a small scale/ home made thing for me at the moment (you must have already seen by now, the accessories I made posted on Famushu). I remember, my dad making small bracelets with beads and leather strings and I would sit beside him watching him carefully arrange each bead. I suppose that is how I really got inspired and got into making little ornaments on my own. Today, I manage toÂ get some time off and do research on what is hip in the accessory world. And as I was googling I spotted the works of jewellery designer Rachel Roy, she is quite a celebrity and was re-known as the wife of Damon Dash the hip hop businessman (they are nowÂ divorced after a 4 year marriage). 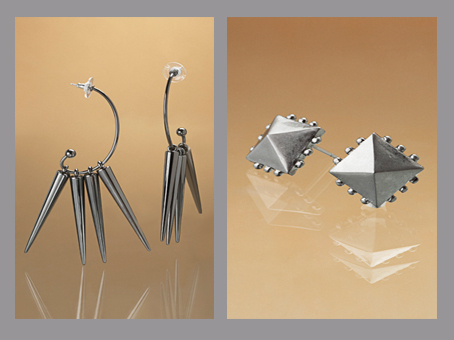 Her designs are worn by many celebrities and featured on magazines like Harpers Bazaar and Marie Clair. 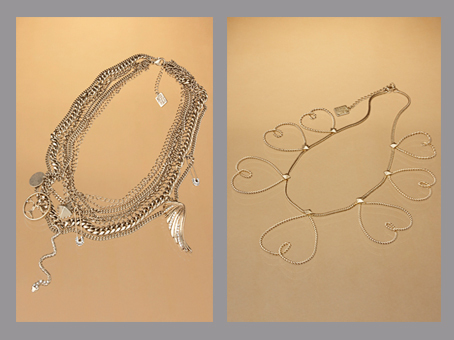 Necklaces by Rachel Roy. 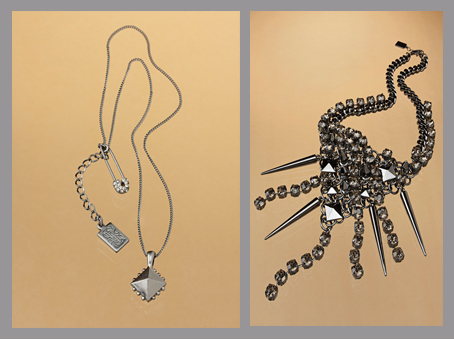 I have a big crush on that dark silver spiked one – it’s coolness is at nirvana. 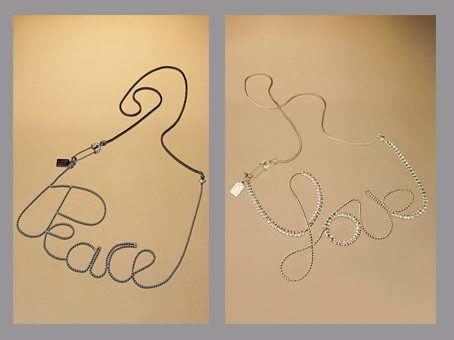 These are so funky and lovely-spread the peace and love eh? Her earrings are so cool and elegant. I am sure that any girl would want a piece from her collection. hehe lol.. true… the buyers here for the boutiques need to be more aware of the current trends.